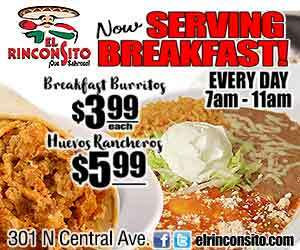 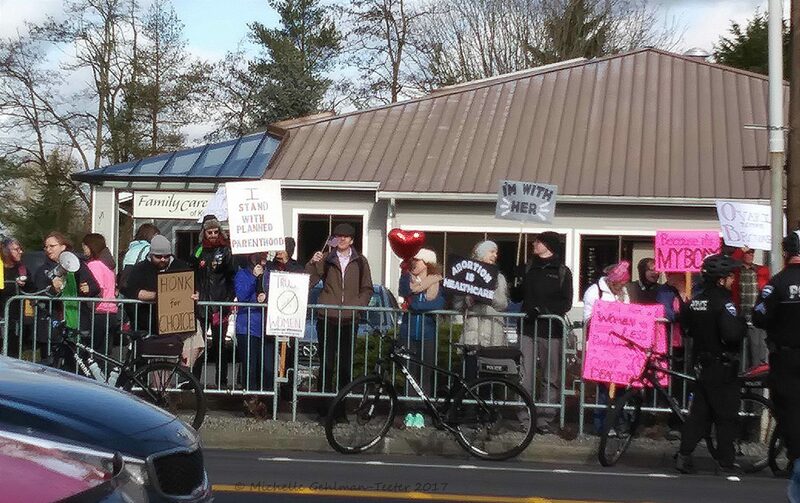 Kent was home to two protest rallies on yesterday morning. St. Stephen Respect Life Committee protested Planned Parenthood on 10056 240th in Kent while a much larger group from “Defend Planned Parenthood” by Seattle Clinic Defense led a counter-protest. 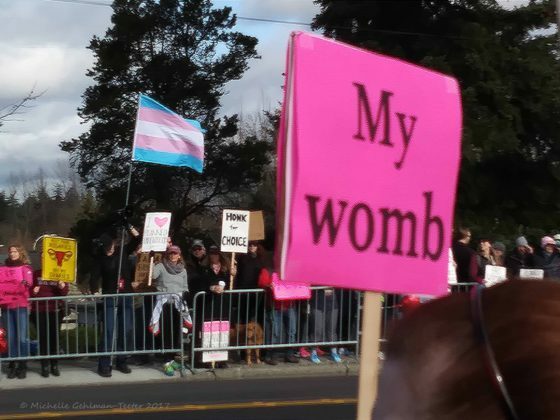 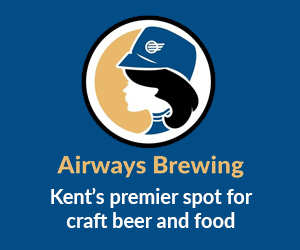 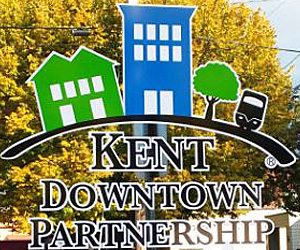 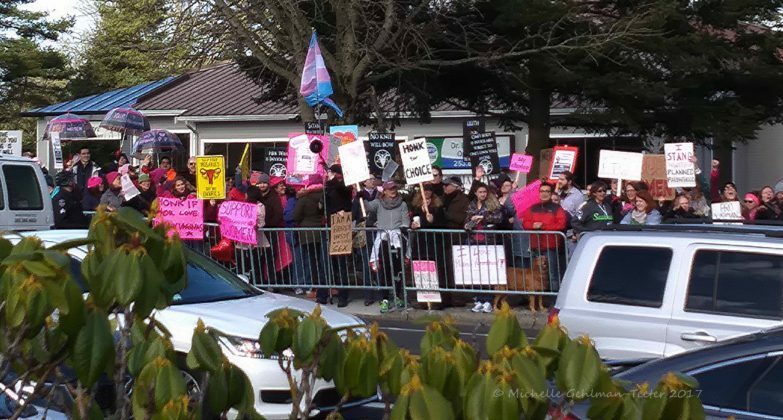 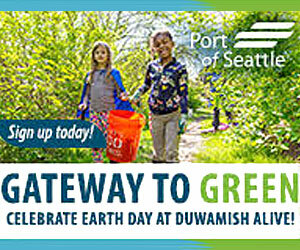 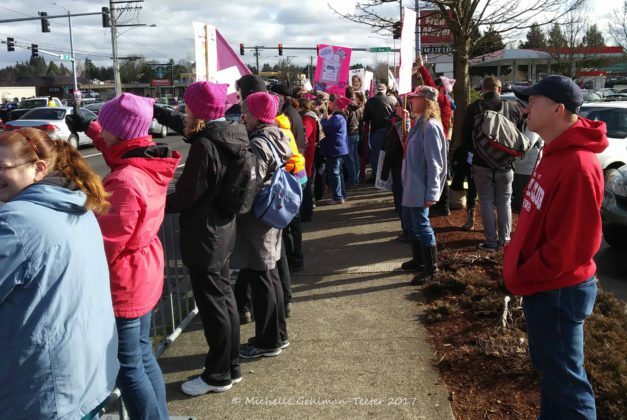 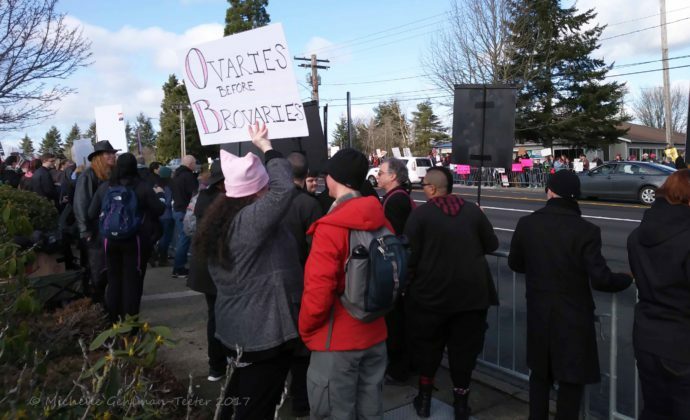 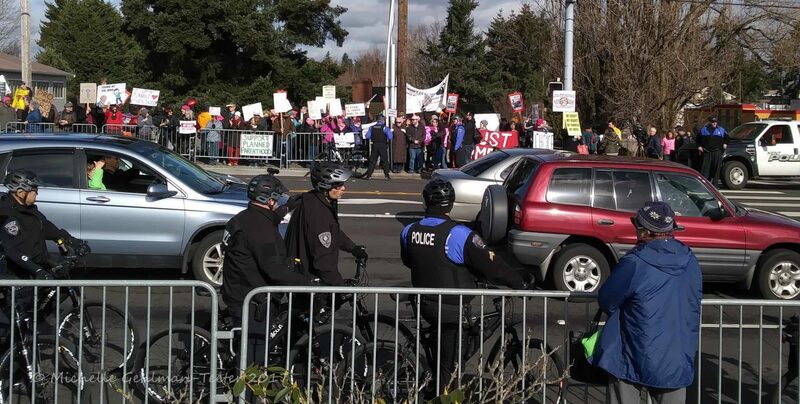 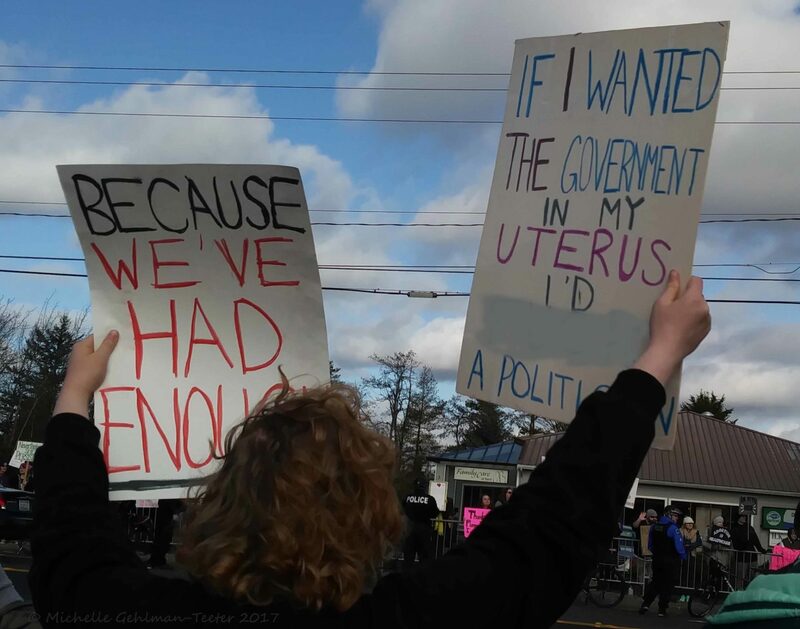 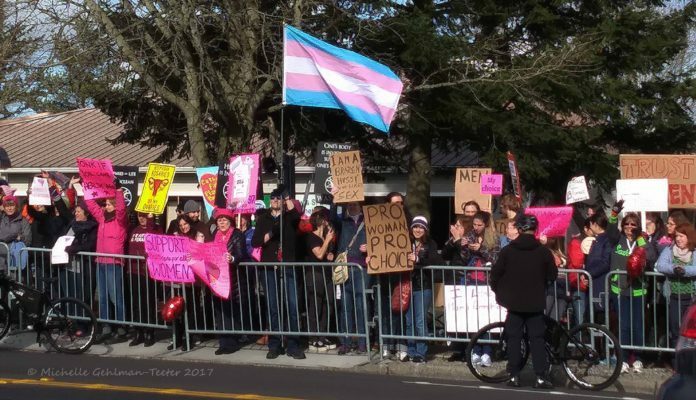 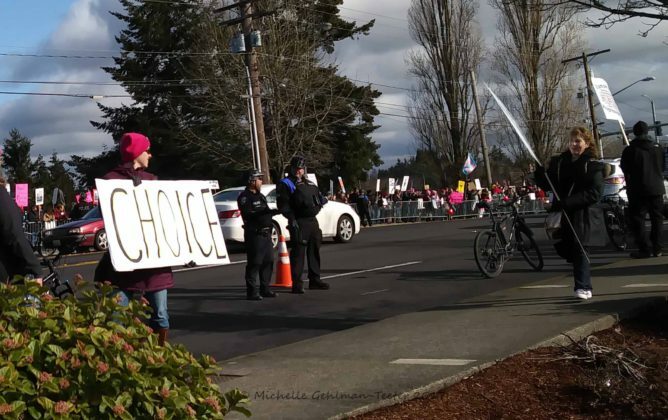 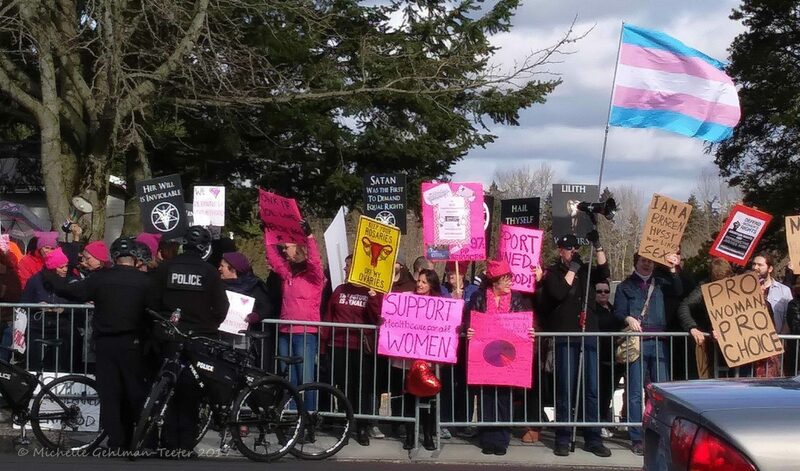 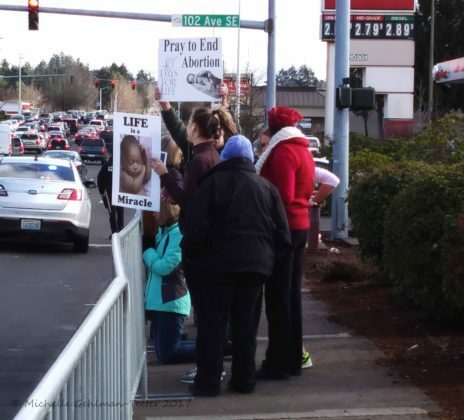 The latter started at Town Square Plaza in downtown Kent at the corner of 2nd Ave and W Harrison St. and marched 1.7 miles, up James Hill to the Kent Valley Planned Parenthood building. 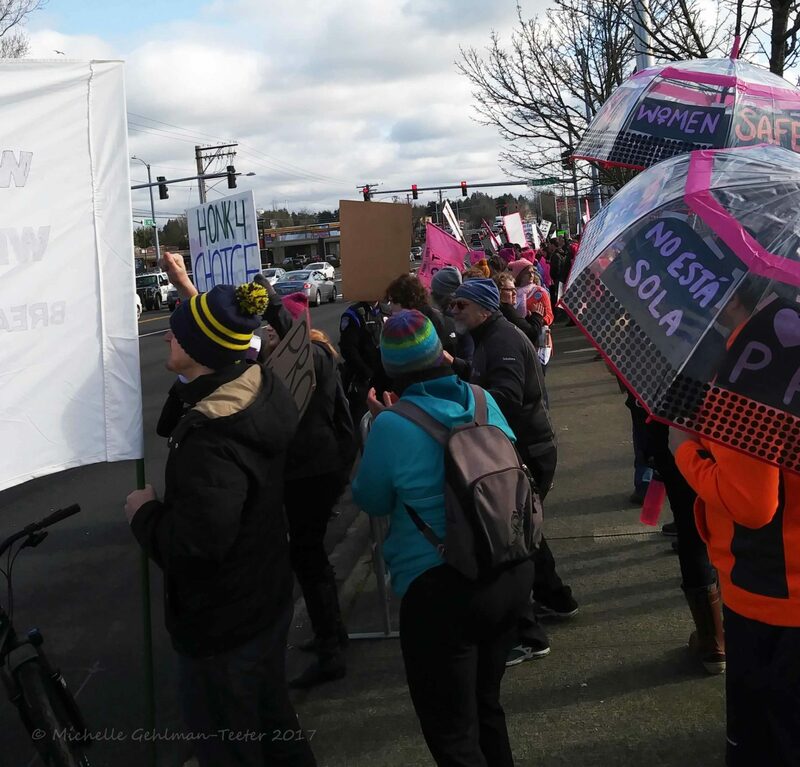 “On February 11, there are rallies planned across the country to in support of defunding Planned Parenthood, a move which will cut off essential services to people all across the spectrum, but particularly those who are at or near the poverty line. 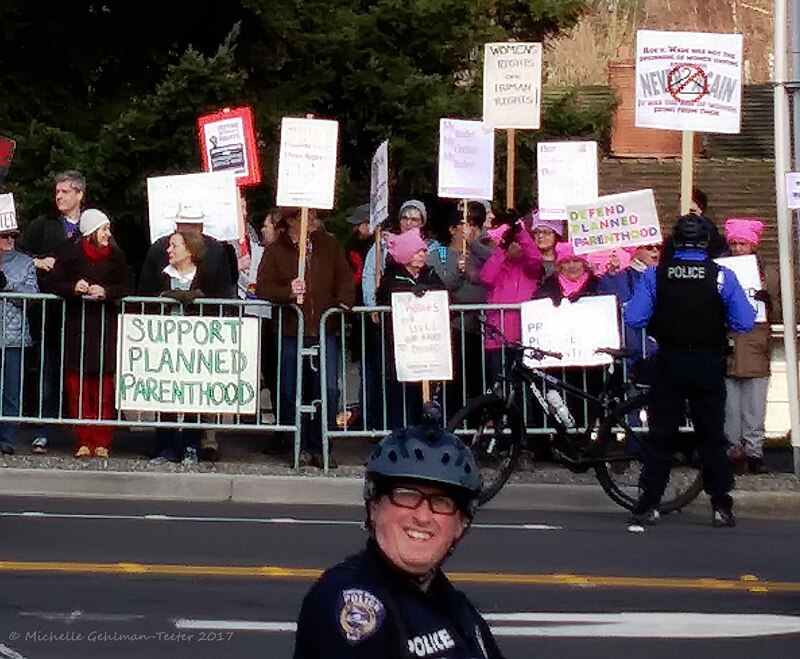 Police were on hand, but the rallies were peaceful and without incident.